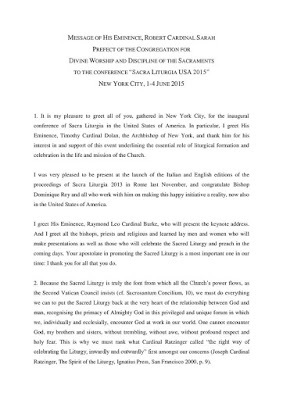 The facebook page of the Sacra Liturgia Conference, now underway in New York City, is live-blogging the conference, and has posted a message sent to it by His Eminence Robert Card. 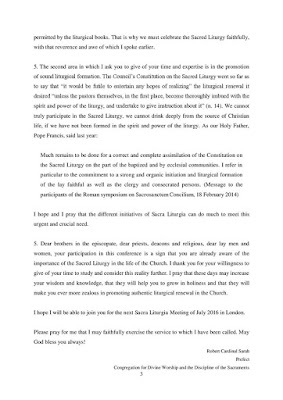 Sarah, Prefect of the Congregation for Divine Worship and the Discipline of the Sacraments. 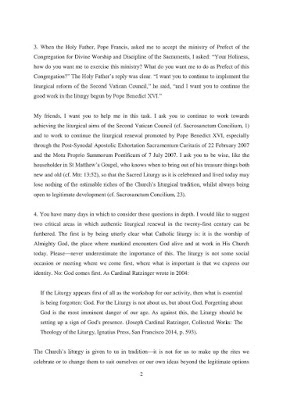 You can read it in full by clicking to enlarge the three photographs below; but we must call particular attention to what the Cardinal says about his own mission as head of the CDW, as expressed in the words of the Holy Father. 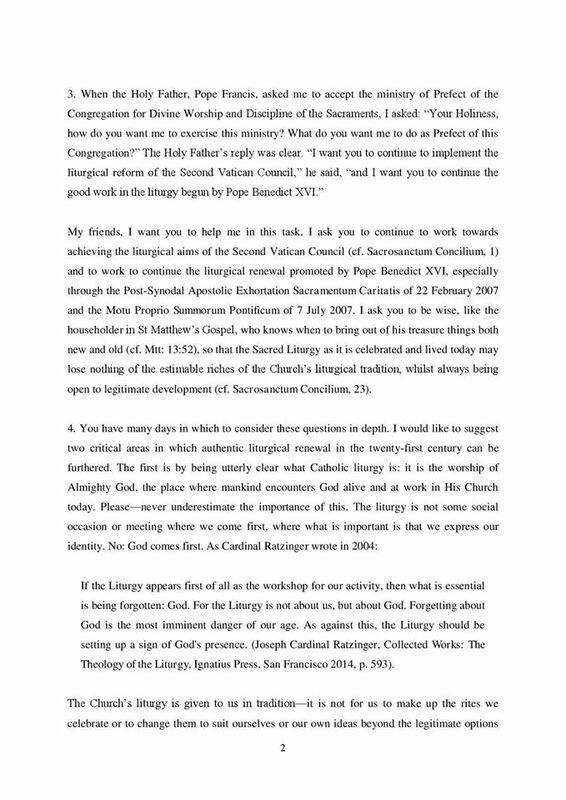 He then goes on to emphasize two areas which he sees as of special importance for the work of the conference. For our own part, we can only thank Card. 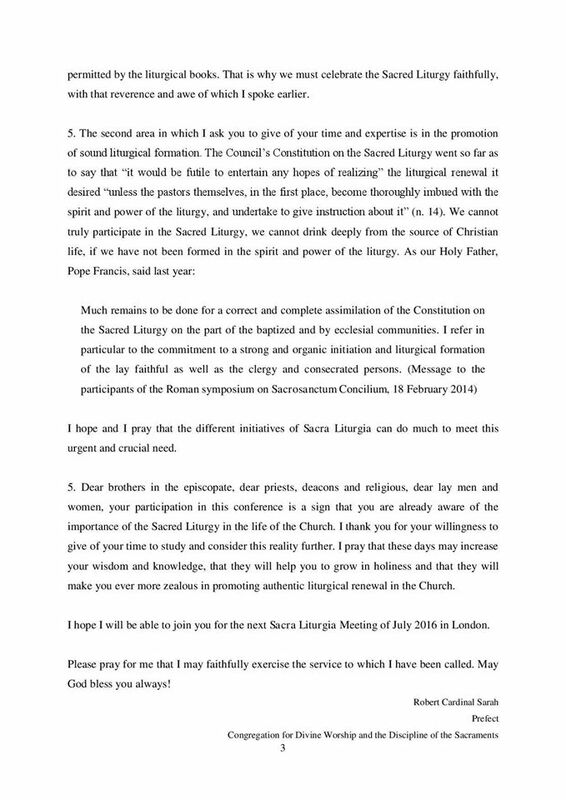 Sarah these words of wisdom, and hope that he indeed able to attend in person next year’s Sacra Liturgia in London, as he states at the end of the message.